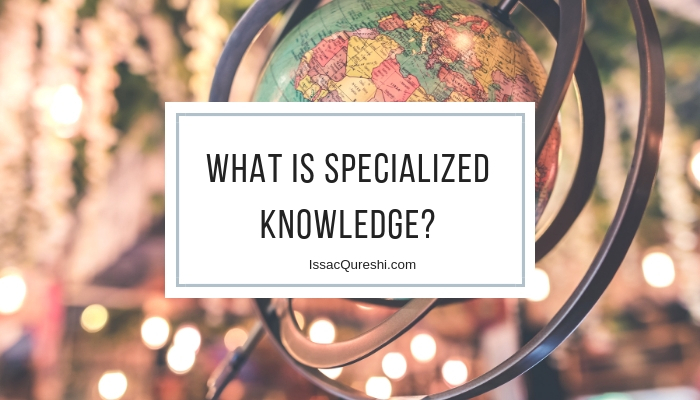 What is Specialized Knowledge? Here is a quote from Henry Ford that may explain! During the world war, a Chicago newspaper published certain editorials in which, among other statements, Henry Ford was called “an ignorant pacifist.” Mr. Ford objected to the statements and brought suit against the paper for libelling him. When the suit was tried in the Courts, the attorneys for the paper pleaded justification, and placed Mr. Ford, himself, on the witness stand, for the purpose of proving to the jury that he was ignorant. The attorneys asked Mr. Ford a great variety of questions, all of them intended to prove, by his own evidence, that, while he might possess considerable specialized knowledge pertaining to the manufacture of automobiles, he was, in the main, ignorant. That answer floored the lawyer. Every person in the courtroom realized it was the answer, not of an ignorant man, but of a man of EDUCATION. Any man is educated who knows where to get knowledge when he needs it, and how to organize that knowledge into definite plans of action. Through the assistance of his “Master Mind” group, Henry Ford had at his command all the specialized knowledge he needed to enable him to become one of the wealthiest men in America. It was not essential that he have this knowledge in his own mind. Surely no person who has sufficient inclination and intelligence. So, as you can see I like to network with people and establish a business relationship. A mastermind group that share ideas and business opportunities. My saying is who you know and not what you know.